Crunchy and mildly sweet, guava is one versatile fruit you can never get enough of. They make inroads into your smoothies, salads, desserts and what not. Guavas are common tropical fruits cultivated in many tropical and subtropical regions and is scientifically known as Psidium guajava. 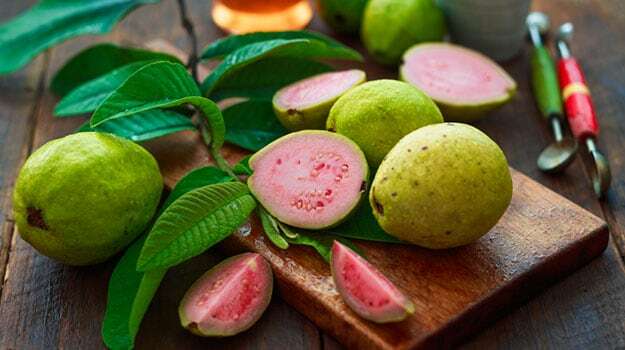 In addition to being ever-so delightful to taste, guavas area treasure trove of health benefits, which makes it a favourite fruit across the world. What is on offer you ask? According to Macrobiotic Nutritionist and Health practitioner Shilpa Arora, “Guavas are a low Glycaemic Index (GI) fruit and do not raise blood sugar levels. It is the best fruit for hormonal imbalances. Diabetics and heart patients can enjoy this nutrition-packed fruit.” Here are some health benefits and nutrition fact about the fruit that you may not have known. Guavas comprise vitamin C, which is instrumental for a youthful and radiant skin. In addition to vitamin C, guavas are also decently rich in lycopene and antioxidants that are known to do wonders for your dull and lifeless skin. Guava is also a water-rich fruit which apart from keeping you hydrated gives you a beautiful skin too. Guavas comprise vitamin C, which is instrumental for a youthful and radiant skin. Guavas are abundant in potassium, which helps lower blood pressure by balancing out the negative effects of salt. Guavas are one of the best suited picks for those trying to manage diabetes. Guavas are high in fibre, which helps to feel full for longer and ensures there is no sudden surge in blood glucose levels. Guavas are rich in fibre, which helps facilitate smooth digestion. Fibre adds bulk to the stool, thereby aiding bowel regularity. Did you know that the high fibre content of guavas can make up for 12-20 percent of your daily fibre intake? 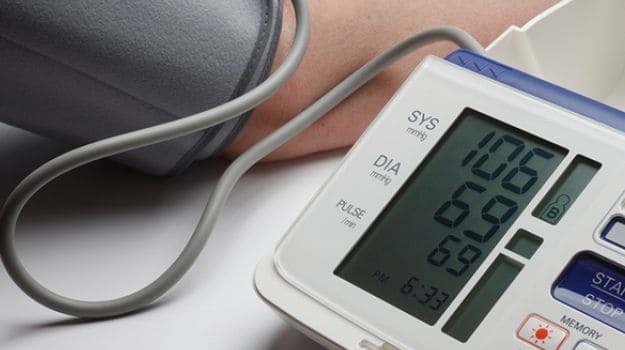 In addition to being diabetic and heart-friendly, these fibres could also help you shed a pound or two. Fibre takes long to digest that keeps you full for a longer duration of time and prevent you from bingeing on other fattening foods. 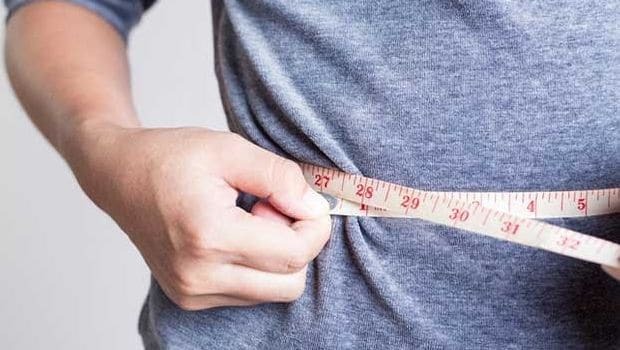 The good quality fibres, by aiding digestion, increases the metabolic activity, which further helps in weight loss. 1. Water Content in Guava: Guava is a water rich fruit. Comprising about 8 grams of water per 100 grams serving, guava’s high water content helps keep you hydrated, your skin vitalised and your hunger pangs in check. 2. 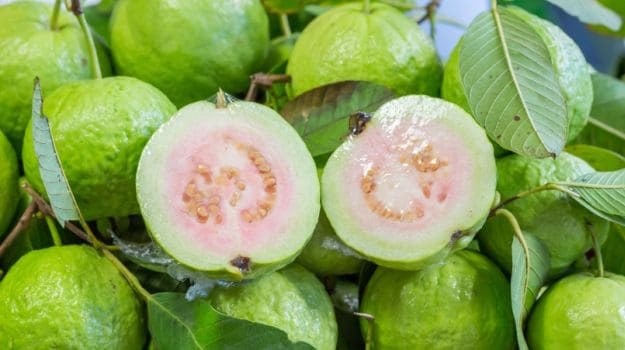 Fibre In Guava: There is a reason why guava is such a massive hit in the health and fitness circuit. The high fibre content of the crunchy fruit is majorly involved in contributing to its fame. 100 grams of fruit has 5.4 grams of fibre. Fibre is essential in aiding digestion, weight loss, managing diabetes and heart health. 3. Folate In Guava: Guavas are a good source of folate too. A 100 grams of guava has 49µg of folate. Folate is a mineral that helps promote fertility. Pregnant women are advised to take folate for better development of the baby. Guava nutrition: Guava is a water rich fruit. 4. Vitamin C In Guava: Guavas are a rich source of vitamin C, which makes them useful in improving skin health, boost collagen, improve immunity and keep risk of cardiovascular diseases at bay. A hundred grams of guavas contain 228.3 milligram of vitamin C.
5. Potassium in Guava: Guavas make for an excellent source of pottassium. There are a bevy of benefits associated with potassium. Studies have claimed that potassium helps relieve symptoms of stroke, high blood pressure, heart and kidney disorders, and anxiety and stress. Potassium also helps regulate water balance and electrolytic functions in the body. 6. 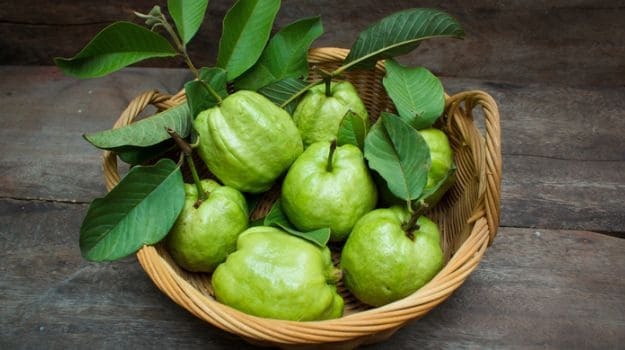 Carbohydrates in Guava: Guava makes for an excellent fruit for diabetics. It is low in carbohydrates. A 100 gm of guava contains about 14.3 grams of carbohydrates. Here is a complete guava nutrition chart that will convince you to load up on the wonder fruit today. 0COMMENTSGuavas are a must have for those having a tough time managing diabetes, high blood pressure, losing weight or a dull skin. Guavas make for an ideal evening or workout snack. You can make blend them to smoothies. Look no further, we have the perfect strawberry and guava smoothie recipe. Try this refreshing recipe and enjoy. Fitness enthusiast can also use the crunchy fruit to make themselves this delicious guava and cottage cheese salad. This sweet and tangy guava chutney made with guavas, lemon, chillies and ginger could also prove to be an interesting addition to your meals.